Clane was at the centre of ecclesiastical operations in Kildare due to it’s strategic location on the River Liffey and close to Dublin. 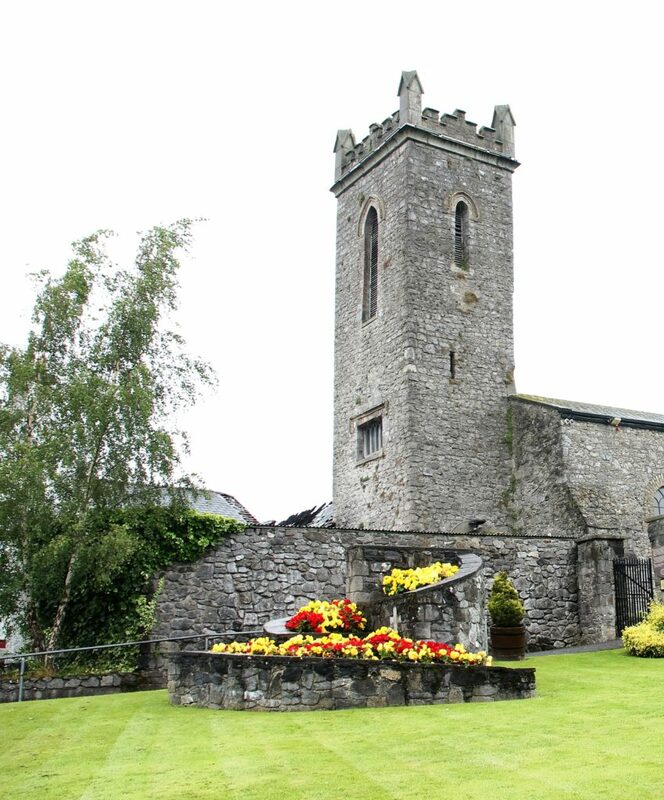 The beginning of the history of Clane dates from about 520 AD, when St Ailbhe, Bishop of Ferns founded Clane Abbey which predates St. Patrick’s. This is one of Ireland’s oldest monastic sites. It remained an important ecclesiastical site until the 13th Century when the Franciscan Friary was built in the town. The abbeys basic medieval structure was restored in the 1970’s by Clane Community Council and the grounds of the abbey landscaped into a Garden of Remembrance. Founded in 1258 by Gerald Fitzmaurice Fitzgerald (Lord Offaly) as a friary for the Franciscian Order. The ruins of this abbey stand close to the river Liffey, just off the main street in Clane. A damaged effigy of a knight on the site is said to be that of Lord Offaly himself. The friary was suppressed in 1536 by Henry VIII although the friars stayed on until the it was completely destroyed in c. 1550. 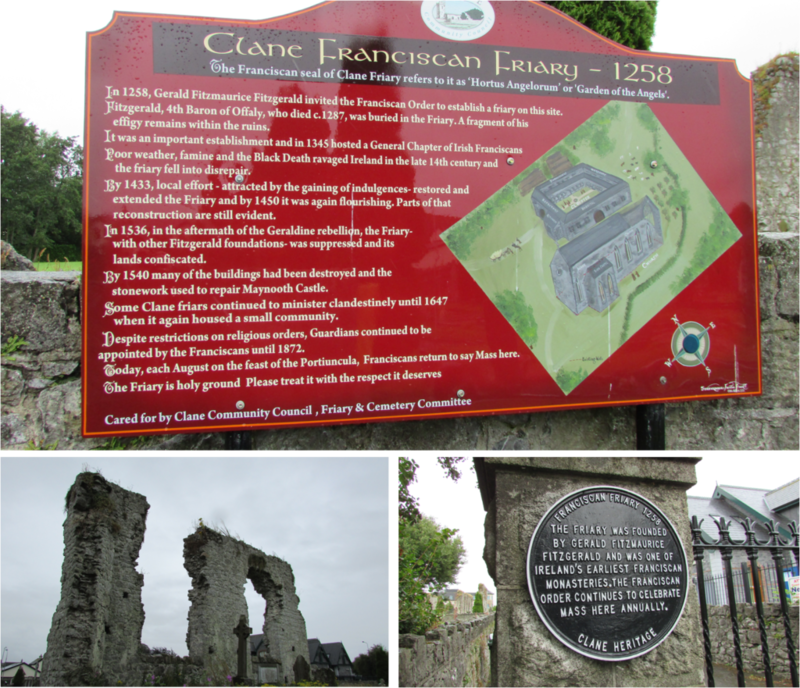 There are information boards and plaques on the site to help interpret it for visitors to Clane as only the remains of the Friary Church are visible today. Clane lies southeast of the N4, find out how to get there on our Clane town page. Access to both sites is free.